Many of you have asked when our Face Fitness Course will be ready. We are happy to share with you a free sneak preview of our Face Fitness Course. Your free copy includes a 5 Minute Daily Face Fitness Routine, Plus a print off for a quick reference. 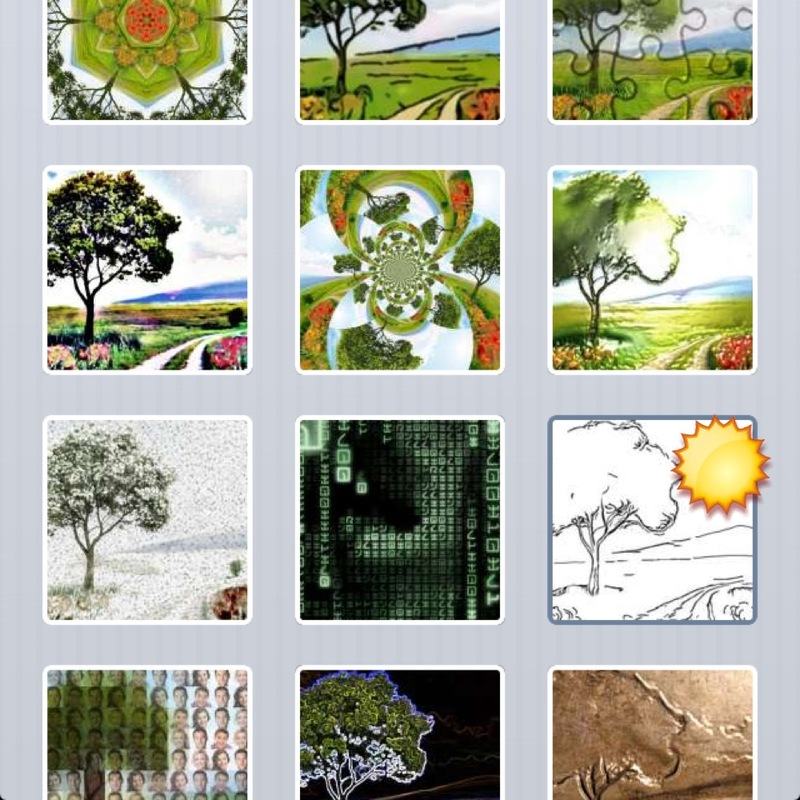 The Full Course is available to students who enter 201 Courses, of course after completing Bloom 101. To get YOUR free Program, click on the image above or here. 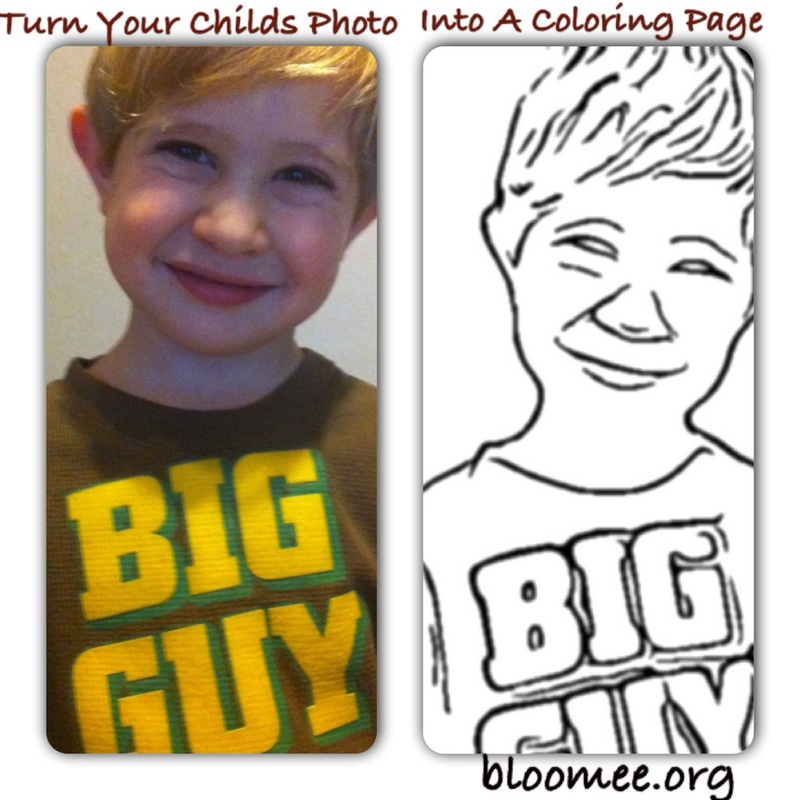 Turn Your Childs Photo Into A Coloring Page! 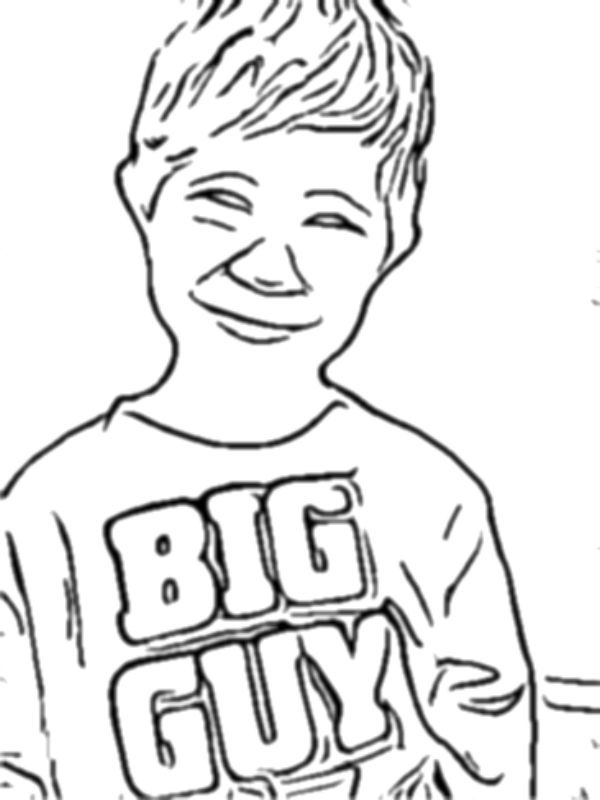 I had a friend come over with her little one who is about the same age as my little boy and we were trying to think of a fun art project to do with them. 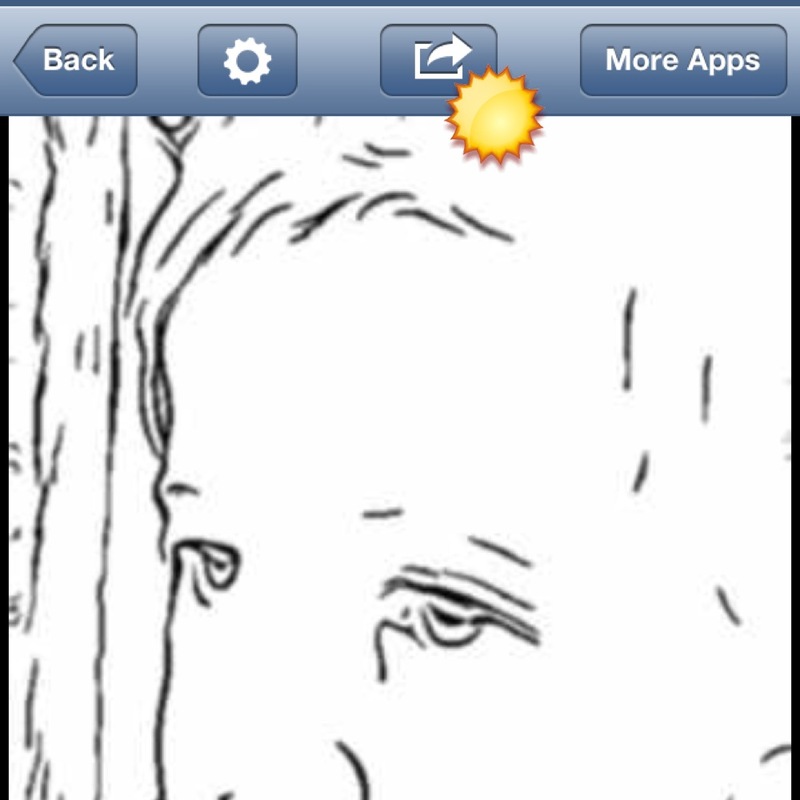 As we were hand drawing pictures that they could practice staying in the lines, I remembered that I have an app on my iphone that will make a drawing of a picture. We had so much fun with this “art project”! I wish I would have taken pics while the kids were coloring, but didn’t think to share until afterward. This wouls be a great homeschool project for any age! 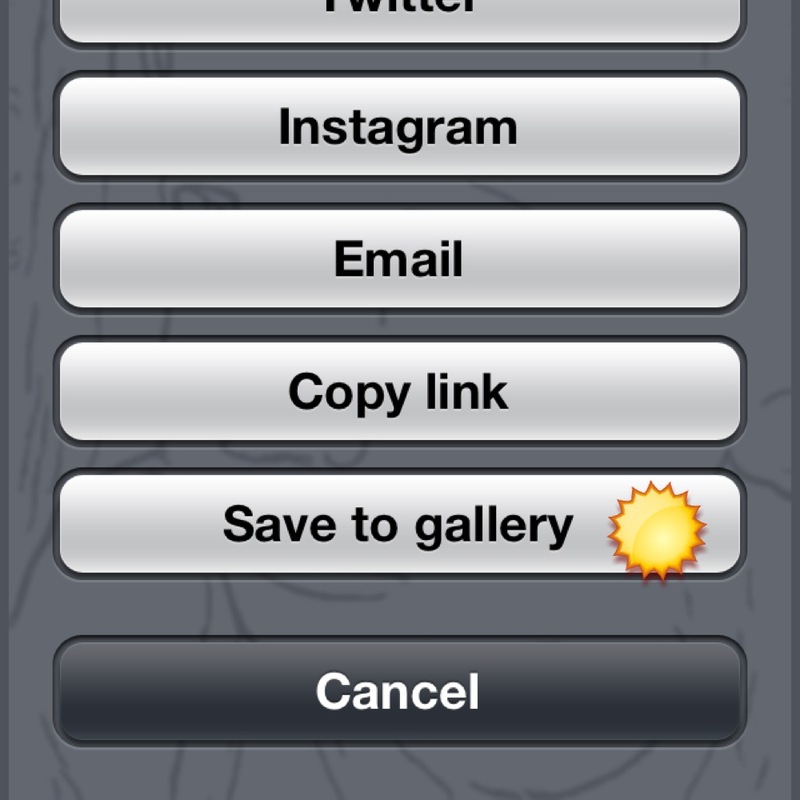 I’m not sure if other smart phones have this app, but iPhones do. 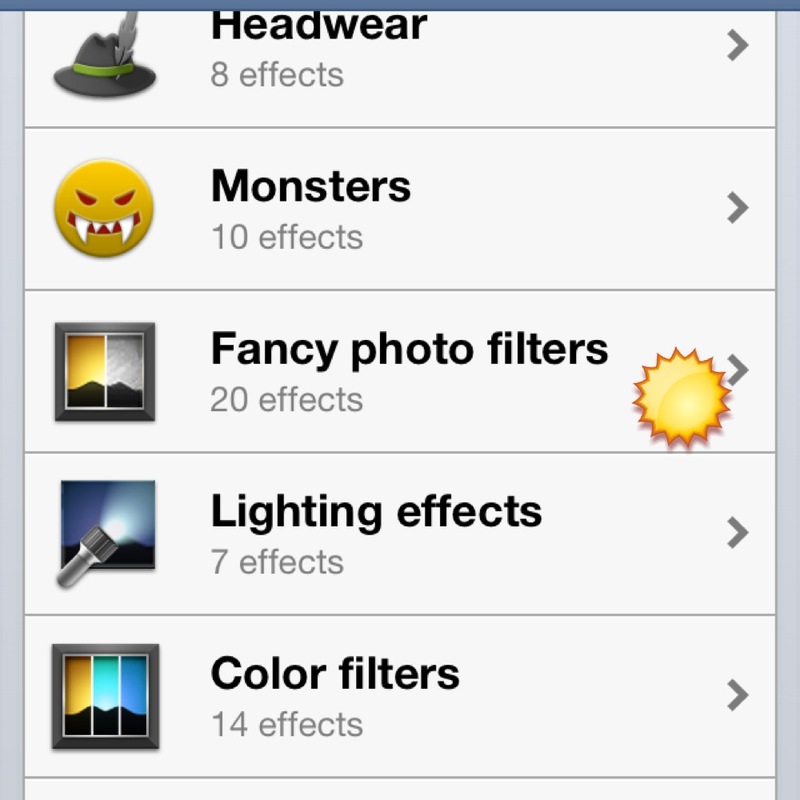 The app is called “Photo Lab”. 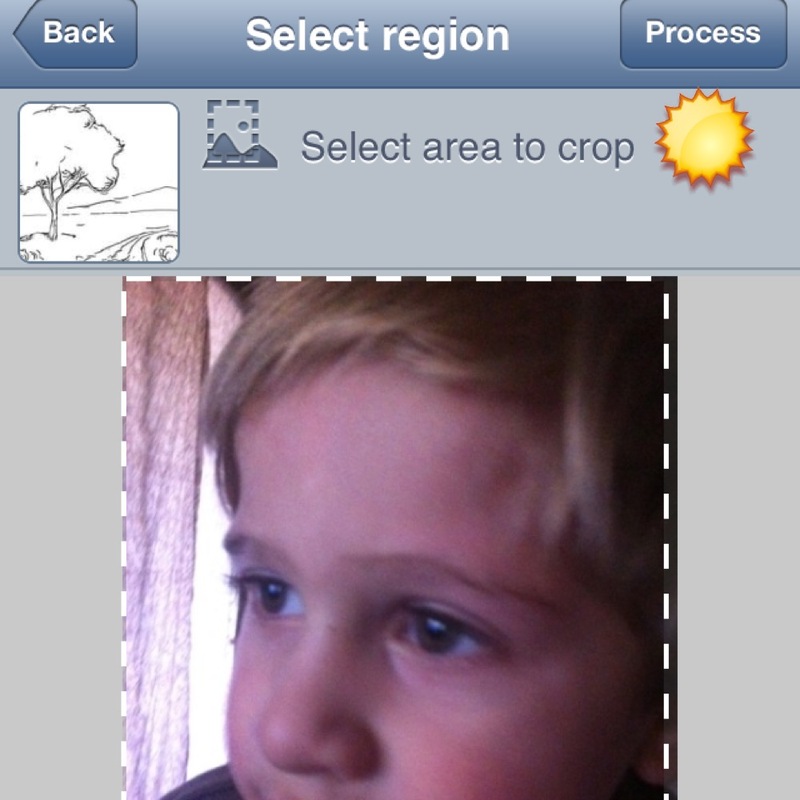 Now you can load your pics to your computer and print. The good thig is, you don’t need a color printer! 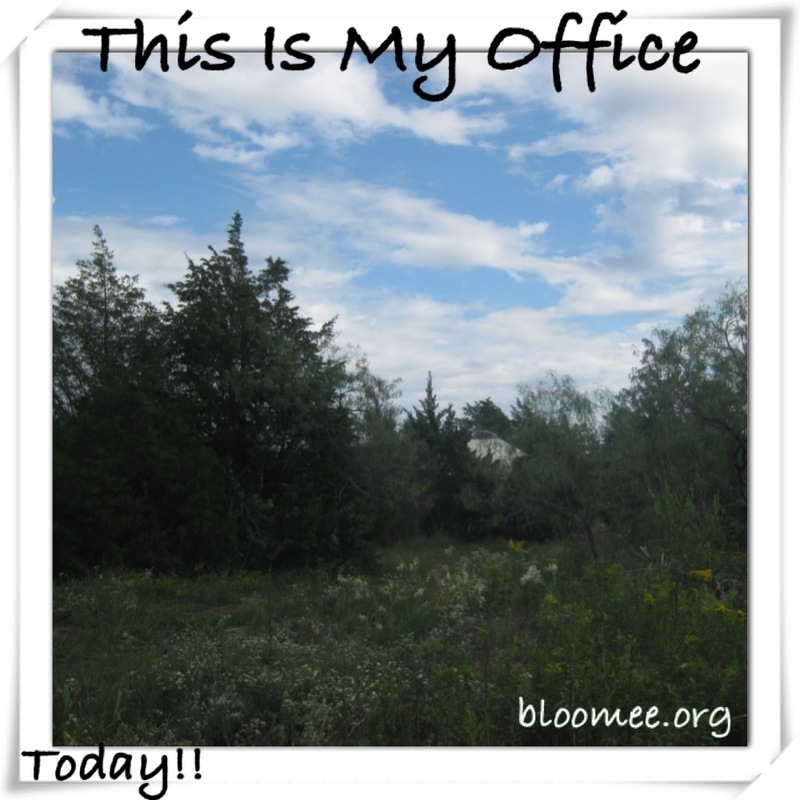 Post contributed by Audry Godwyn who is a guest blogger for BloomEE. She is the author of A Nutritional Makeover and blogs over at anutritionalmakeover.com where you can find many articles about natural living, health information and lots of real food recipes. This Is My Office This Week! Inspired by Women of BloomEE! 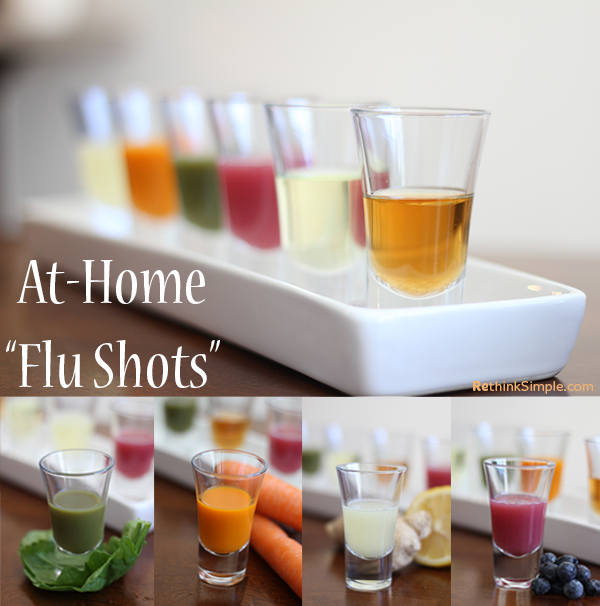 At-Home Flu “Shots”, Super Creative! This was the most AWESOME and creative post I have come across for cold and flu season. I literally read it, commented then cam straight to my blog to post it. This way I will have it saved and I can share with you all. Recently a friend here on Bloom asked me for any advice to a beginner runner who is overweight. This is a question I get asked fairly often so I had a response prepared and, since so many people seem to have the same concern, Bloom has asked me to share my answer. I have a three-pronged approach to running that applies to all runners (beginners, marathoners, overweight runners, previously injured runners, anyone). Running should feel good. If it doesn’t, you may need to work on conditioning more first (walk more!) or you may just need to slow down. By this I mean both to run slower (especially as a beginner runner, you don’t need to be pushing for speed) and train slower. The majority of running injuries are caused by over-training, that is, doing too much too quickly. Just because the C25k (or other training program) suggests you run a certain distance or time today doesn’t mean that is what is right for you, which brings me to my next point. Especially as a beginner, you need to give your muscles time to build up to what your mind wants you to do. So if running doesn’t feel good to you, it is your body telling you that something is wrong. You could be over-training (slow down! 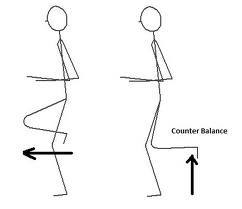 ), out of alignment (listen to your body and learn about correct alignment), or wearing the wrong shoes (less is more). Whatever the problem is your body is giving you signals to help you work it out. Try to silence your inner talk when you are walking and running. Give yourself a chance to hear what your body has to say. Consider starting a yoga practice, preferably one that focuses on proper alignment and quieting the mind. This will help you start hearing your body and gives you a good feel for correct alignment. At very least, start a meditation practice so you can start hearing your body’s signals. Remember you are working with your body, not against it! (For more information about alignment, check out ChiRunning or Katy Says. Remember, correct alignment for your body may be slightly different than for others, so even if you learn more about biomechanics, please keep listening to your body too. For more on starting yoga and meditation, try YogaGlo or Kundalini Yoga Lessons. I have more information about meditation here and here. 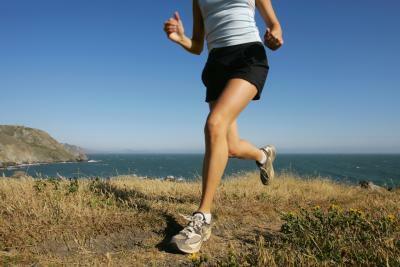 When you are running, practice making your footfalls as quiet as possible. If you can hear yourself pounding the pavement (so to speak), you are definitely putting a lot of pressure on your knees and hips. Days and weeks and months and years of that abuse is very bad for your body. Every runner can run light. Weight is not a factor. Relax, loosen up, and let your body gently absorb the shock. Practice walking quietly first, if you need to. If you do this right (listening to your body will tell you if you are doing it right or not), you will have mastered correct alignment. I like to make a game out of it. I pretend I’m in the Hunger Games and my life depends on staying quiet. This means no huffing and puffing (slow down! walk if you need to) and no landing heavily on my heels (what I call “slamming on the breaks”). That is my three-pronged approach to running: slow down, listen to your body, and run light. One last piece of bonus advice: smile! Remember, running should feel good! Studies have shown that even a forced smile reduces stress and produces feelings of happiness. I always try to smile when I run and, when I look back, I remember the smiles, not the struggles. This has to be one of the most exciting free resources available to anyone who is interested in herbs. 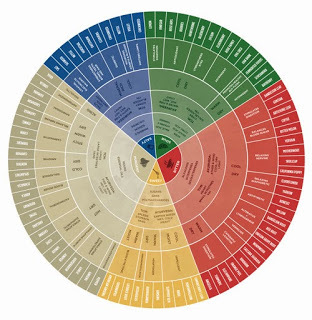 One of our favorite herbalists, Rosalee de la Forȇt , has created a beautiful Taste of Herbs Flavor Wheel. To learn more about how you can download your free poster, visit Methow Valley Herbs. Hope you all enjoy as much as we do!! Sample A Course? Click on The Image To Download Your 5 Minute Daily Face Fitness! Want To Stay Updated With Bloom Events? Subscribe Below. lavandulaatriplicifo… on Free Face Fitness E-Book! audrygodwyn on Free Face Fitness E-Book!